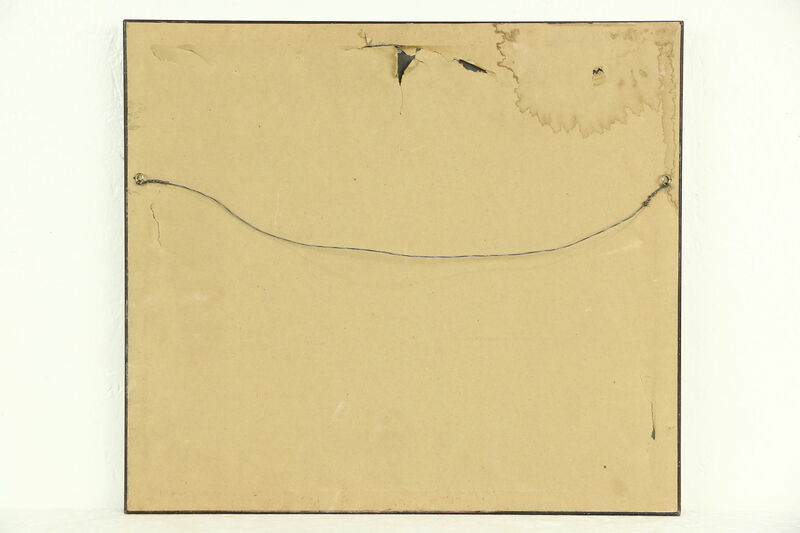 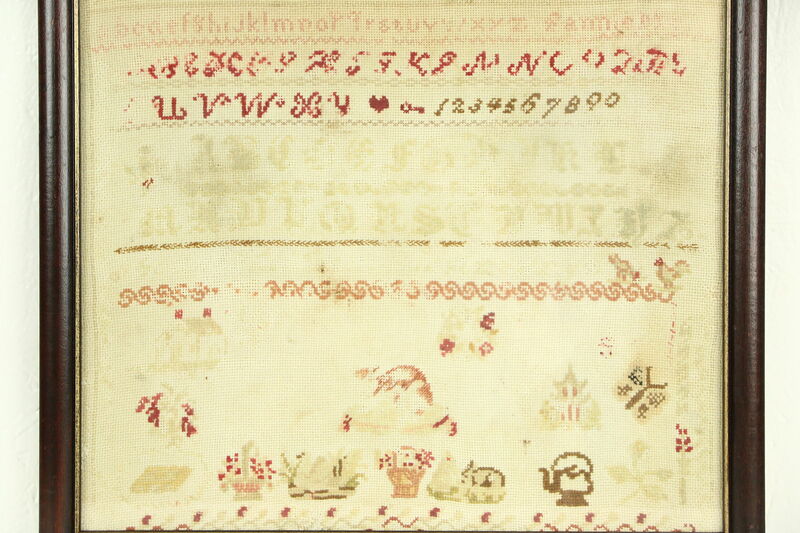 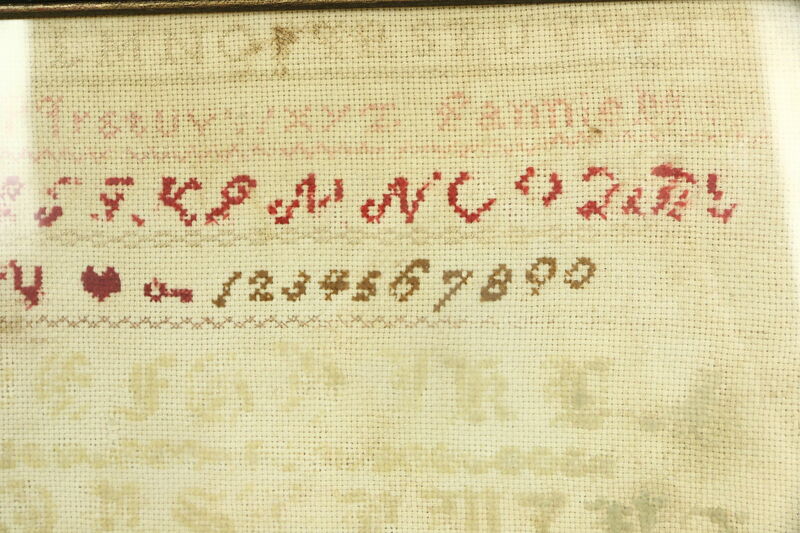 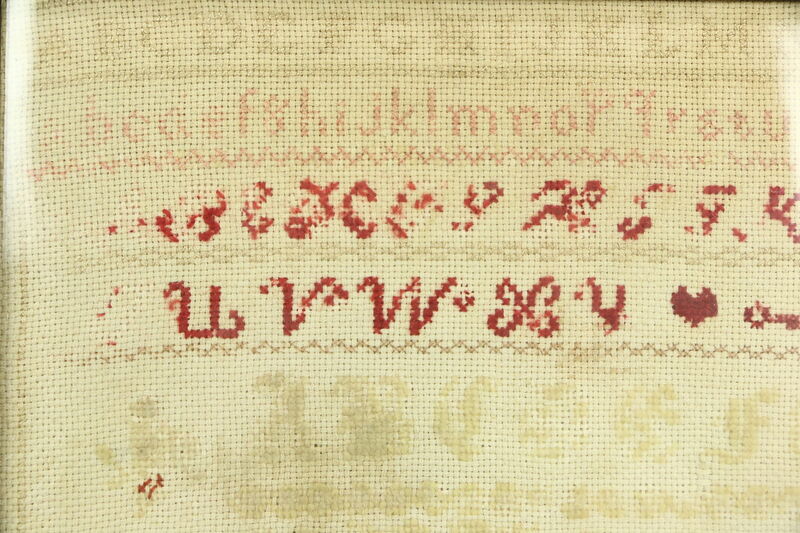 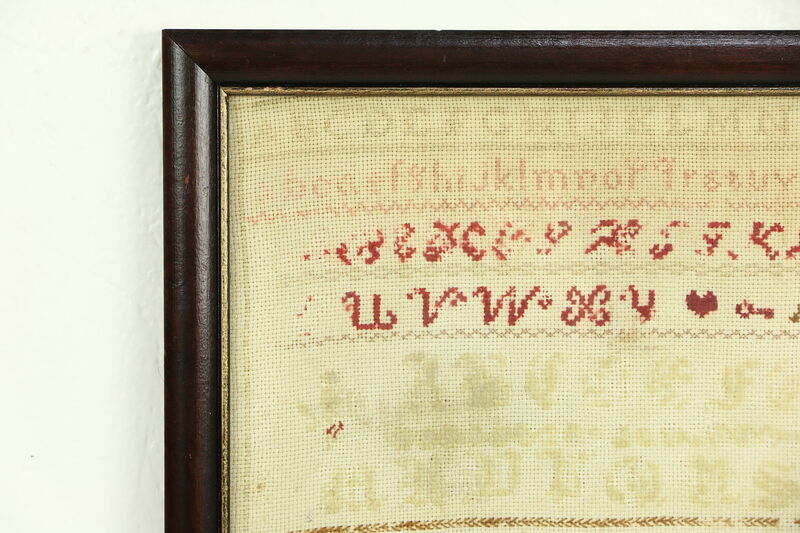 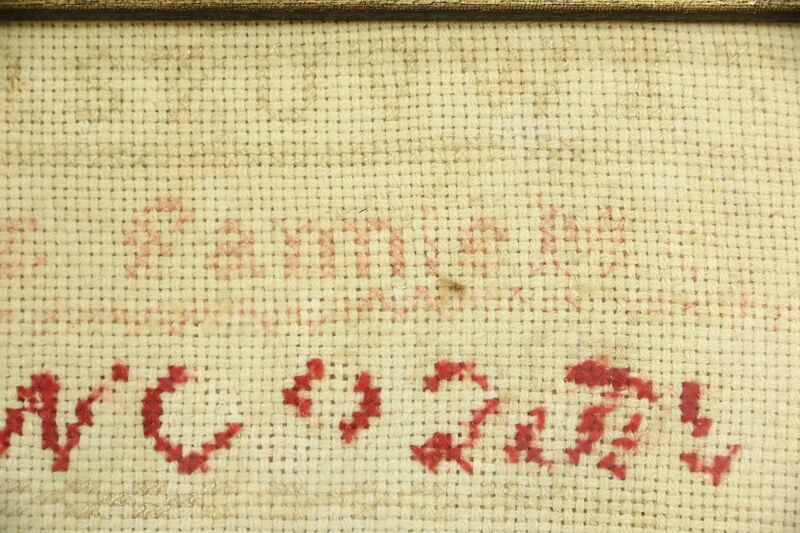 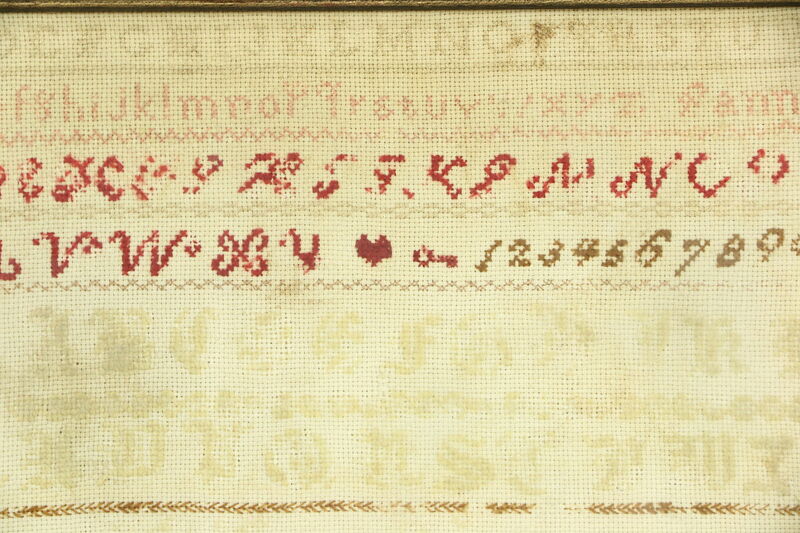 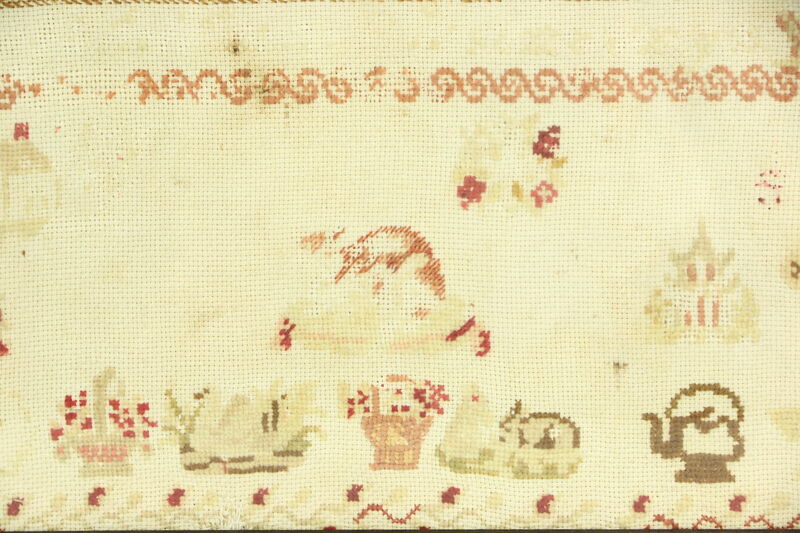 A hand stitched sampler from around 1900 is seriously faded, and appears to be signed, "Fannie." 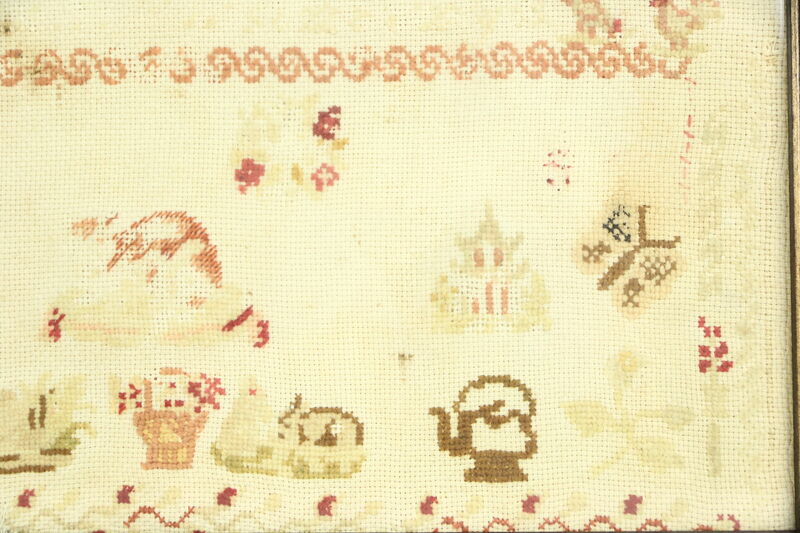 There are flowers, houses and a tea kettle. 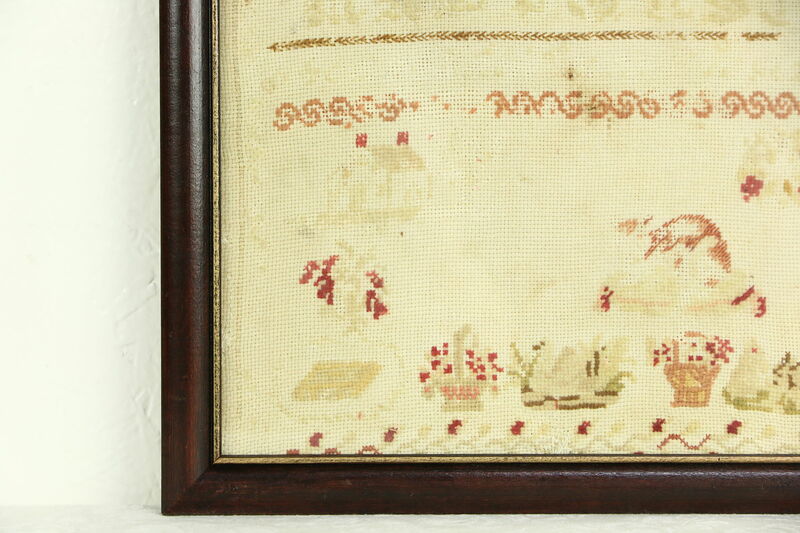 This folk art has stains and wear, see photos. 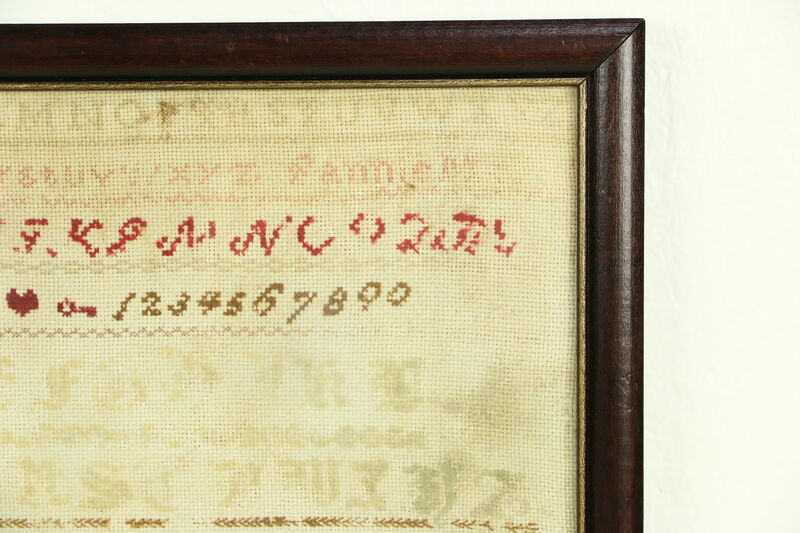 The dark maple frame is in very good condition on this American made antique. 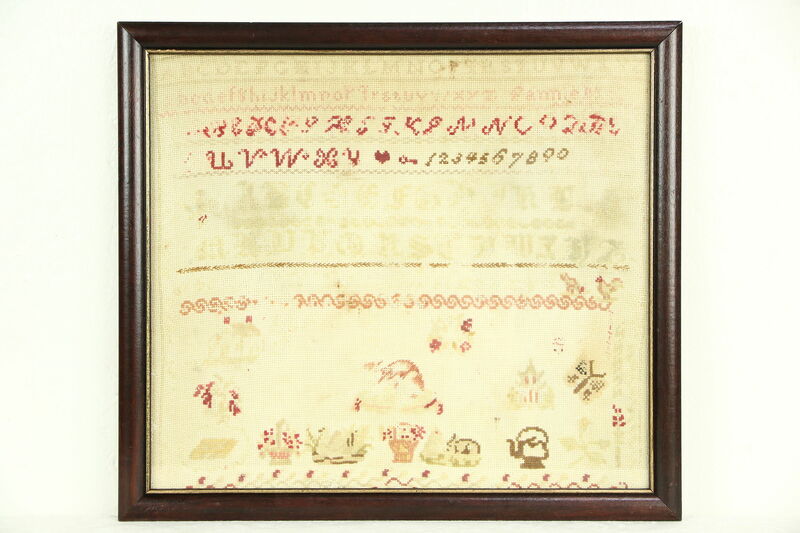 Size including the frame is 18" wide, 16" tall and 1" deep. 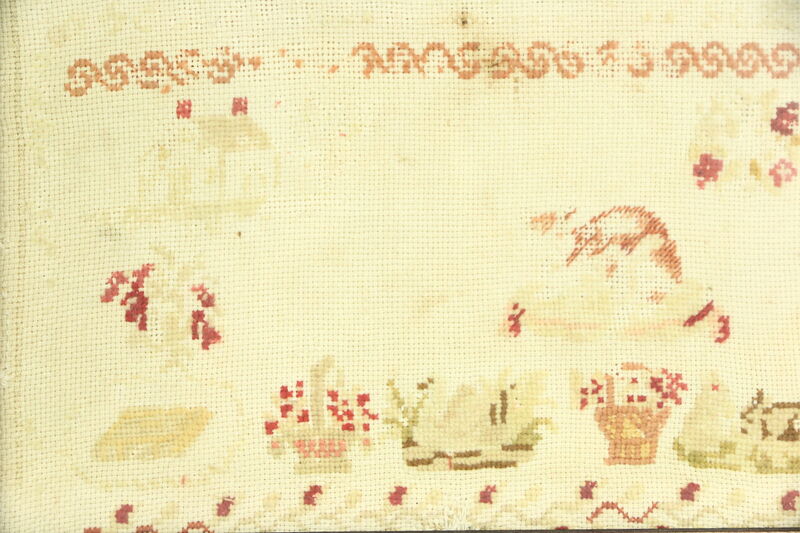 Please view 14 photos at full screen size for best detail. 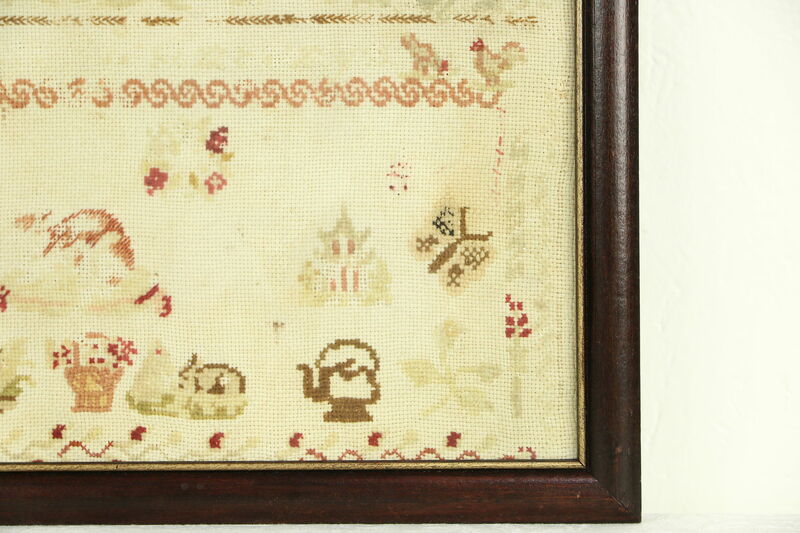 Shipping is $35 in the US.